Do you need a quick and easy way to grow your email list? You can get more subscribers by asking them to join your newsletter while they’re filling out your contact form. 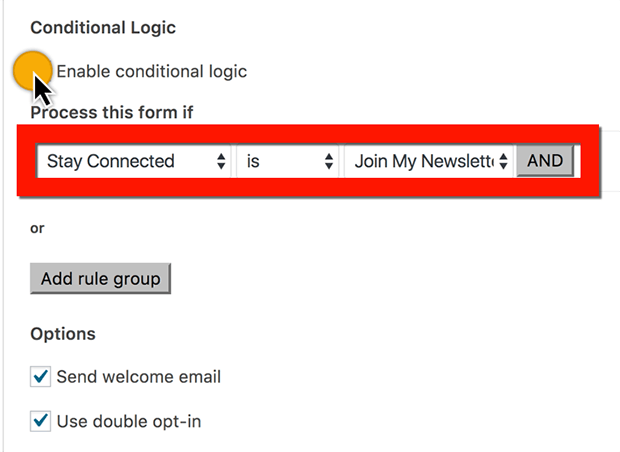 In this article, we’ll walk you through how to add a MailChimp signup checkbox to your contact form. You’ll see that we added one checkbox labeled Join My Newsletter. Right now it’s just a simple checkbox field. To connect your contact form and MailChimp, you’ll need to activate the MailChimp addon from WPForms » Addons. To access this addon, you must have the Plus license plan or greater. 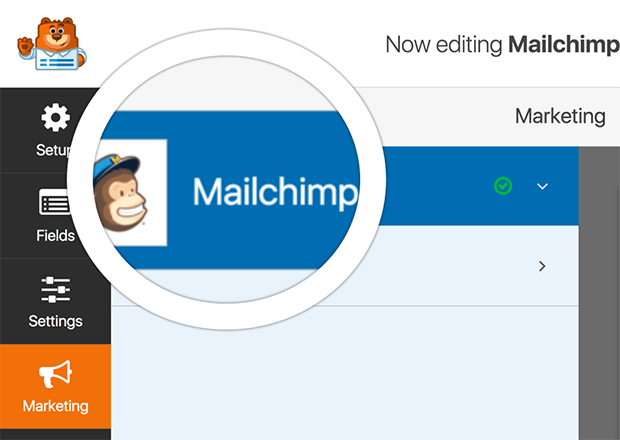 For more help with this step, you can check out our tutorial on how to install and use the MailChimp addon. 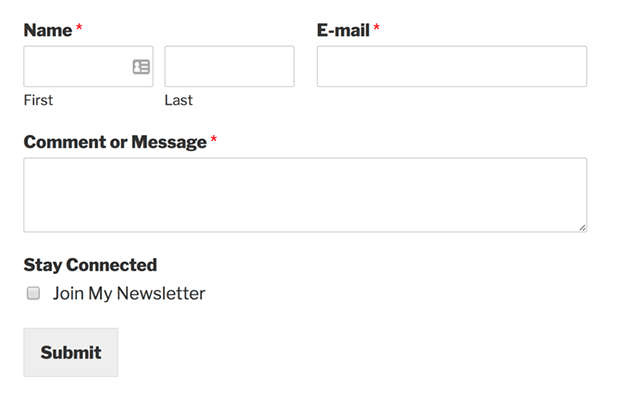 Now that we created your form and activated the MailChimp addon, it’s time to connect the form to your email list. Within the form editor, go to Marketing » MailChimp. On the right-hand preview panel, you can select which MailChimp account you need and list you want to add new subscribers to. When you scroll down, you’ll see List Fields. 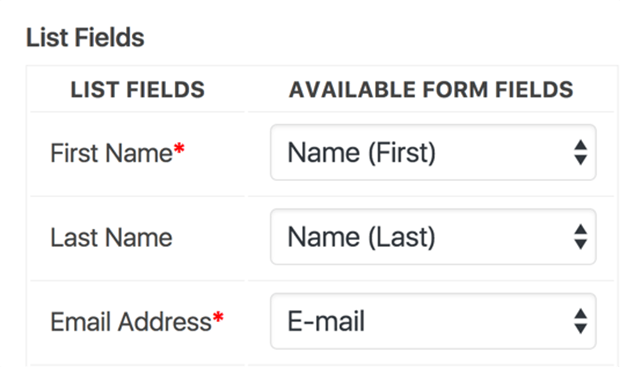 Here you’ll match the names and email address fields on your form to the corresponding fields in your MailChimp list. Next, we’ll need to make sure that only users who select the checkbox get added to your email list. You can do this by selecting enable conditional logic at the very bottom of the preview panel. Only signing up people that have selected the checkbox to receive your newsletter helps you stay compliant with the law. In the United States, adding people to an email list without permission violates the CAN-SPAM Act. In various other countries, there are laws to prevent businesses from sending unsolicited emails. That’s why it’s so important to provide the checkbox as a clear way for visitors to choose to receive your message. You should never just add people to your email marketing list without their permission. Not only will you anger those users, but you may also be breaking the law. 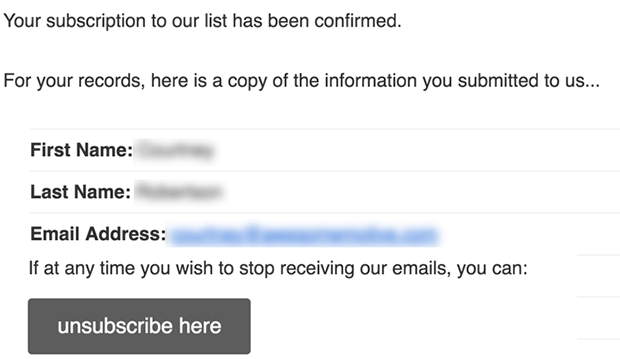 Lastly, let’s make sure that your newsletter sign-up checkbox works. Publish your form on your contact page. Then fill out your form as a test with the checkbox selected. Be sure to use a different email address than the one associated with your MailChimp account. If you use your MailChimp email address, it won’t send a subscription confirmation message. Next, you need to check your email to see if you’ve received a confirmation message. That’s it! 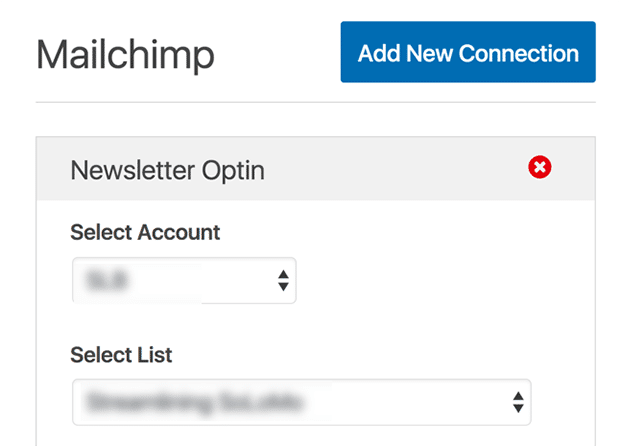 You’ve just added a MailChimp newsletter signup checkbox to your contact form. Want to get more people to fill out your contact form and subscribe to your newsletter? Check out these 10 research based tips to improve your contact form conversions. Would something like this work with MailerLite? That would be awesome to have WPForms integrated with MailerLite too.